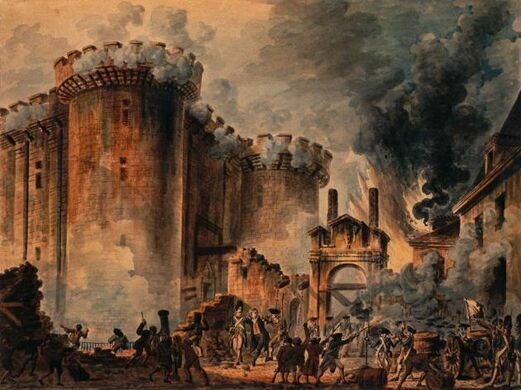 Long a symbol of royal authority, the Bastille fell on July 14, 1789, to an insurrection of the people, marking the ignition of the French Revolution. Although there were only seven prisoners in the fortress when it was taken, its tyrannical history had included prisoners such as the Marquis de Sade and Voltaire. The revolt that had started with the French aristocracy against the king had finally progressed down to the Third Estate. The destruction of the towering prison left mounds of rubble and stones, many of which were used to build the Pont de la Révolution. Although the bridge’s construction had been underway before 1789, the majority of the stones needed to finish it had not been procured. The demolition of the Bastille offered the perfect opportunity to finish the bridge and build one of the first monuments of the new republic. 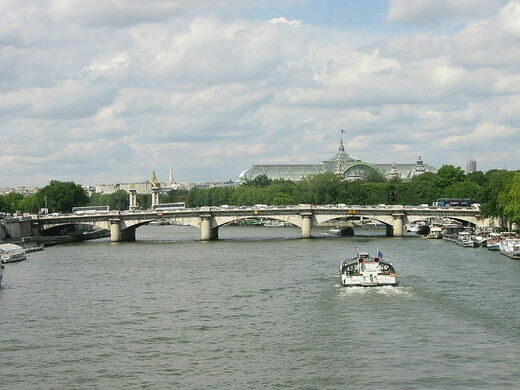 Abolishing its original name of Pont Louis XVI, the Pont de la Révolution was completed in 1791. Like the Place de la Révolution, the site of the guillotine that became the Place de la Concorde, the bridge took on a less aggressive name following the Reign of Terror. 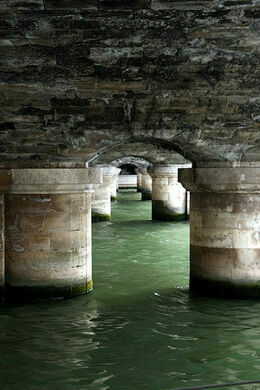 It was renamed the Pont de la Concorde in 1795. During the Restoration, it went back to its original name of Louis XVI, before returning to the Pont de la Concorde in 1830. It has had varying decorations over the years, with statues of dead generals under Napoleon and those of monarchy officials under Louis XVIII. Now the only adornments besides the lamps are the numerous cars that rumble over it every day. Other traces of the Bastille can still be seen around Paris, including in the line 5 Bastille metro station and in the paving stones at the Place de la Bastille, where a bronze column stands over the site of the former prison.